How to Create Old Hollywood Waves with How To Be A Redhead. It was all about the redheads at Caravan Stylist Studio when these two lovely sisters from How to be a Redhead came to visit. It was Old Hollywood glamour that gave us the inspiration to create these looks. If there’s one beauty trend that’s swept the red carpet this year, it’s Old Hollywood style hair. This sleek and sophisticated look has always been a glamorous choice for redheads and luckily, it’s very easy to do at home if you have a little time and patience. 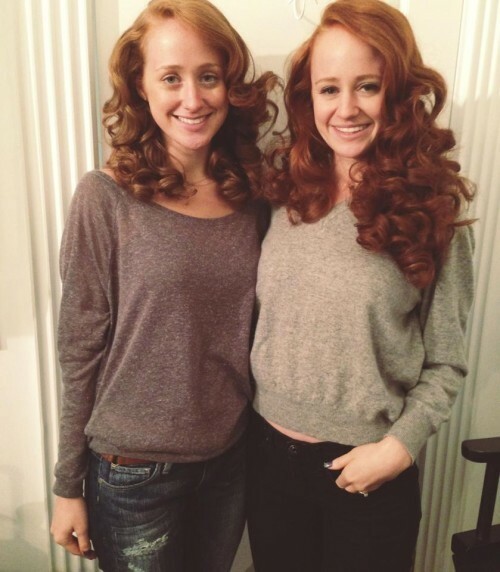 The co-founders of How to be a Redhead, Adrienne & Stephanie Vendetti, visited New York City’s exclusive Caravan Stylist Studio in the historic Carlton Hotel. Their hairstylist, Valarie Star, who is also a redhead created their Old Hollywood styles. 1. Give the hair a liberal spritz of Salon Grafix ReStyler to moisten the hair, protect it from the heat of styling tools and take down any frizz. Then apply the Salon Grafix Shaping Mousse to make sure each section is coated thoroughly. 2. Comb through the hair to make sure the product has worked its way throughout the hair and to free the hair from any knots and tangles. 3. Starting in the front with a large toothed comb/teasing comb, comb the hair back. You will see natural parted lines in the hair from the comb, use this as a guide to help create the perfect, super deep part. On the side with the bulk of the hair comb this directly over and down that side and do the same with the smaller section in front. 4. Starting with the smaller side of hair, use your pointed end of the comb to draw a line directly back about 2 inches long and 1 inch wide. Comb this section and separate it into two equal parts, make sure to give each combed section a healthy spray of Salon Grafix Shaping Hairspray. 5. With a small-barreled curling iron, curl this with the curl facing/rolling down. 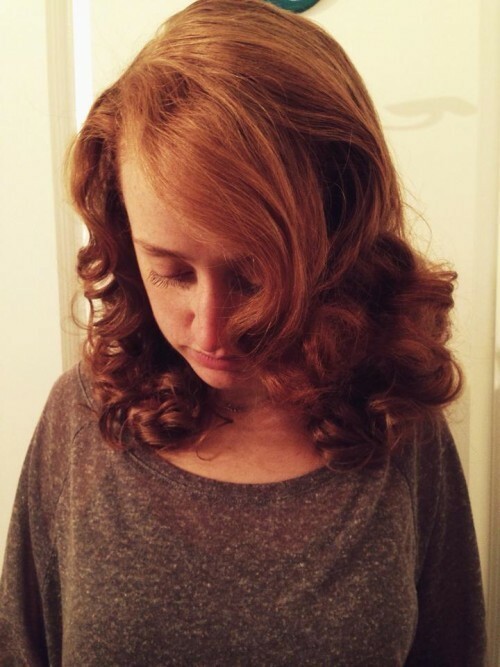 When releasing the curl be sure to keep it intact, not letting it fall and loose that perfect ringlet shape. 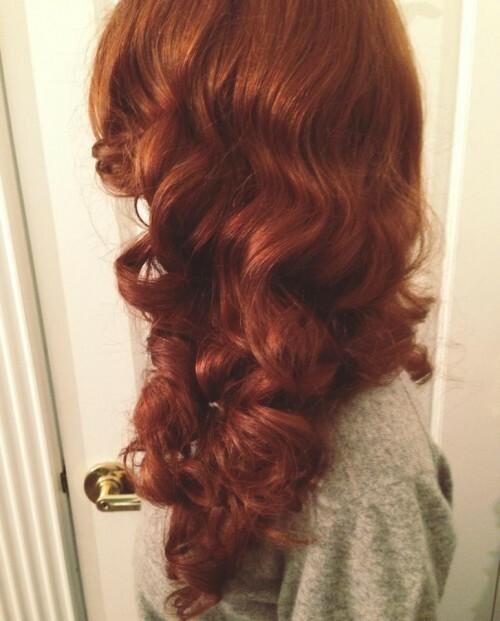 While holding the curl to shape take a long redhead bobby pin and pin it near the root and move to the next small section of hair doing the same thing. Continue on, in this direction till you have curled and pinned all of the hair in this section. 6. Moving onto the larger section of hair in the front, do the same thing by separating 2 inches long and 1 inch wide sections. Always applying hairspray to each section before curling. 7. Now that the front of the hair is curled and pinned, it’s time to move to the back of the hair. 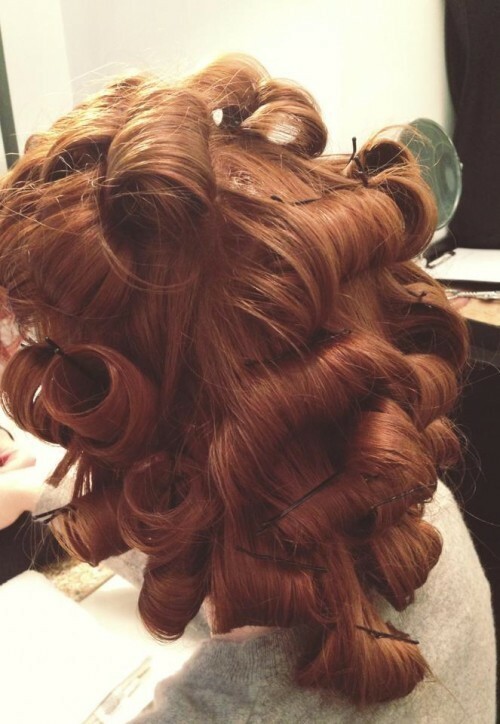 You will repeat the same curls as you have done to the front but this time rolling the curl backwards and down. Do this till all of your hair is curled and pinned. Once you have finished take your Shaping Hairspray and with a circlier motion spray your entire head of pinned hair with a liberal dose of hairspray. 9. It’s now time for the waiting game, and the longer you can let these curls set the better your style will be. An hour is the minimum time you should allow your hair to set. 10. You are going to spray your pinned hair once more, then take a blowdryer on hot heat and blowdry each pinned curl gently. Once you have hit each curl with the heat you can gently remove each pin. 11. When you have all the curls free from pins, use a soft bristled brush and begin brushing in the same direction that you have rolled the curls in. You are going to brush out the sections to create continues soft wavy curls to the entirety of your hair. You will see the hollywood waves starting to form. 12. Take the larger front section and start forming your S shape formation. This is done by brushing the hair forward and down starting from the part at the root of the hair. Stopping about 2-3 inches or about the area of the arch of your brow is. At this point, you will hold that hair flush to your face and with the brush, start brushing right below it in the opposite direction in about a 2-3 inch section. Do this till you have reached the ends of your hair and you are happy with the size and shape of the wave pattern in the hair. With your shaping hairspray, give a light spritz to the S shapes to give the hair hold and durability. 13. For the smaller section in the front of your hair, brush it down and back, tuck this hair behind the ear and progress to the back of the hair. Always brushing, brushing and more brushing. 14. Once all your hair has been brushed and looks full, soft and has loads of volume and waves, spray High Gloss Hairspray to add that extra bit of shine and give just a smidge more hold to all your hard work. Take a look at Adrienne and Stephanie’s finished looks! Previous ArticleThis week @howtobearedhead @adriennevendetti_h @stephvendetti visited #caravanstyliststudio for some #oldhollywoodhair & nails by Salon Grafix & @zoyanailpolish Blog post coming soon!